"But the Mountain Trike seems to sail over both gravel and grass and, courtesy of the Rock Shocks, can handle the really rough stuff without shaking your brains out." 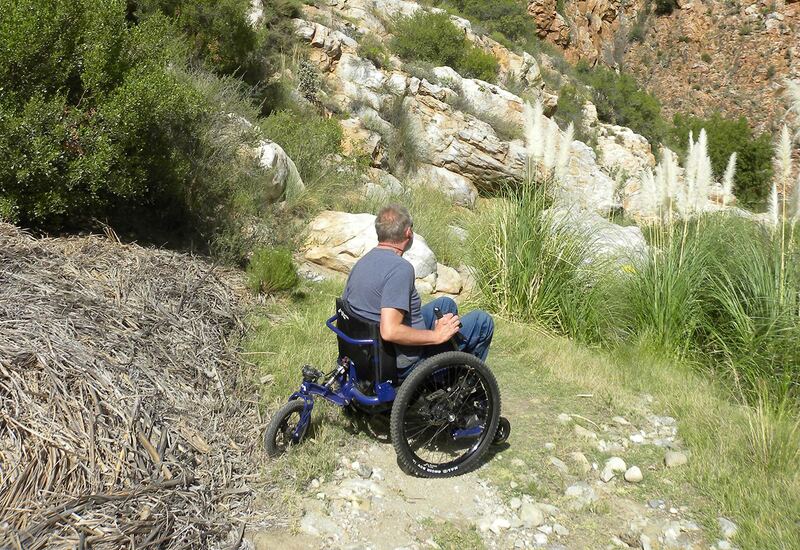 Anyone who's ever tried to negotiate grass, gravel or any sort of rough terrain on a normal wheelchair will know just how difficult, uncomfortable and exhausting it can be. But the Mountain Trike seems to sail over both gravel and grass and, courtesy of the Rock Shocks, can handle the really rough stuff without shaking your brains out. The only limitation is the strength required to power it up steepish inclines, but I have no doubt it gets easier the more you do it. Unfortunately, to get to any level contour path on Cape Town's mountains invariably involves a short, steep climb so I'm still on the lookout for suitable areas from which to start. Taking the Trike up the West Coast in a few weeks to see how it performs on sand.